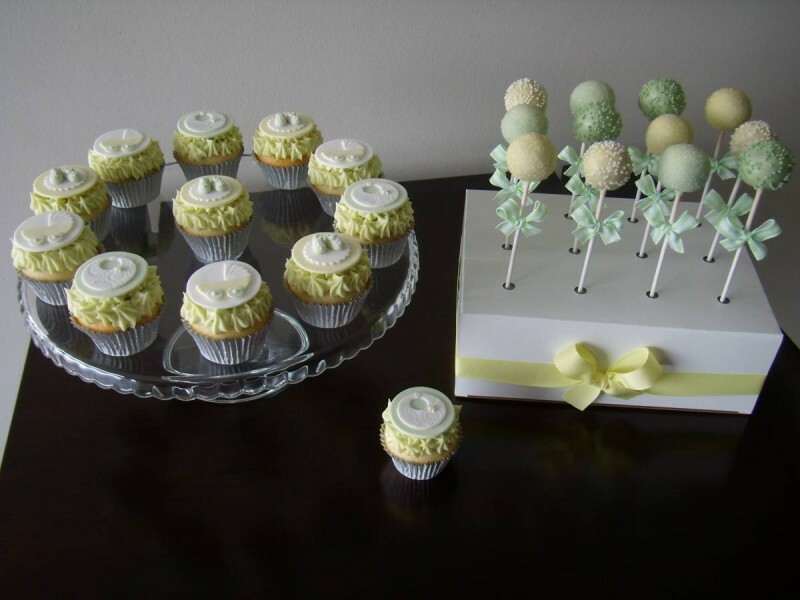 These sweet little cupcakes and cake pops were created for a baby shower with a gentle colour scheme of soft green and pale yellow. 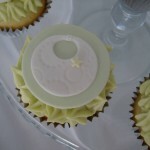 To compliment the colours the cupcakes were given a twist of lemon and piped with a lime and white chocolate ganache and the toppers were all handcrafted from fondant. Decadent bites of rich chocolate cake truffle were dipped in white chocolate then sprinkled with soft green and lemon sugar crystals and green and white non pareils then tied with a pretty bow and presented in a neat little box to pop straight on the buffet table with all the other delicious treats. 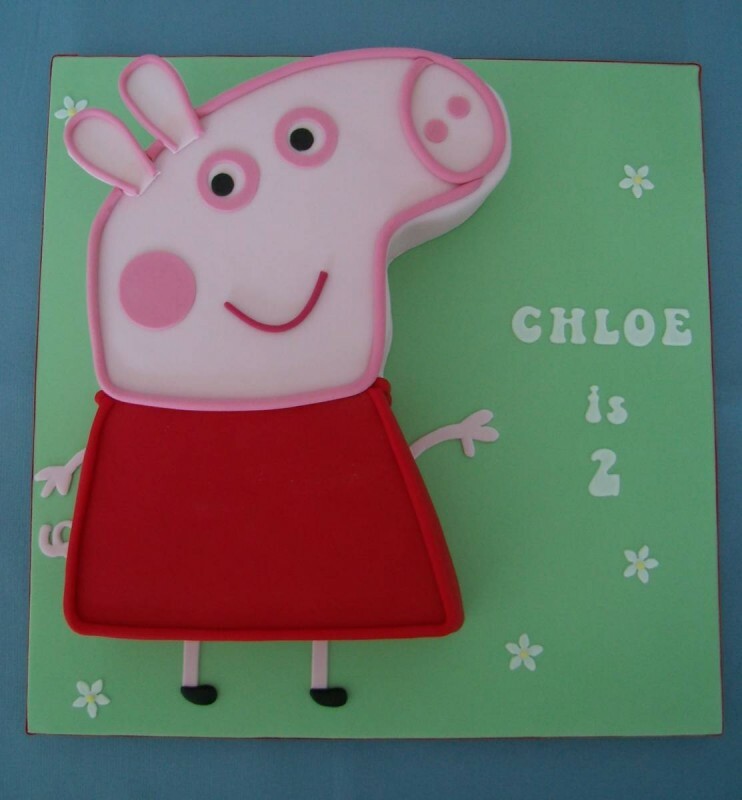 Created for twins these matching Peppa Pig and George Pig cakes were the ideal choice to celebrate their special day. 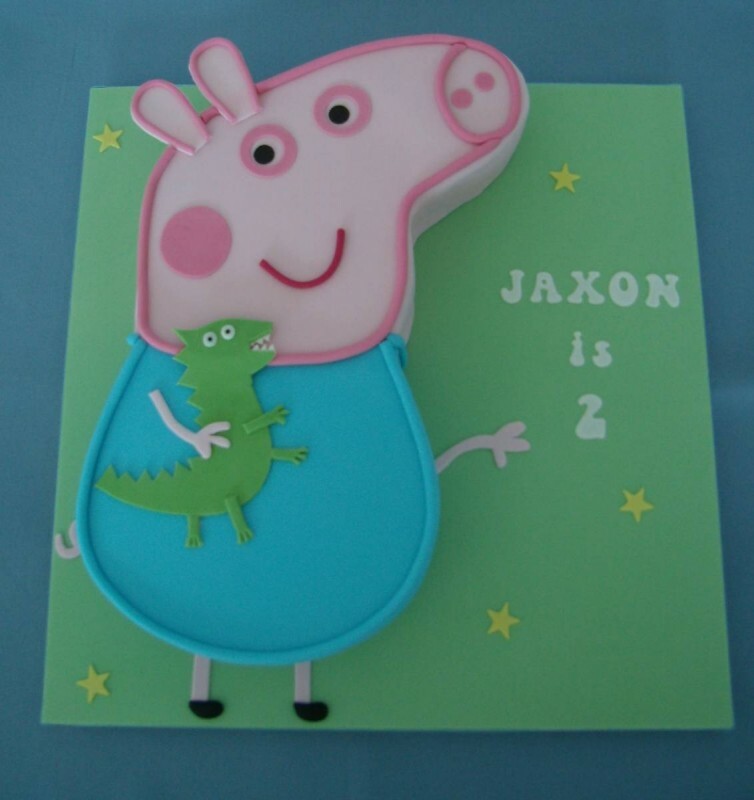 Peppa was made with the all time favourite chocolate mudcake coated with smooth chocolate ganache and George was made with a vanilla and white chocolate cake coated with a soft blue buttercream frosting. 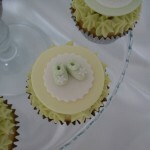 Both cakes were then covered with fondant and of course a hand cut little dinosaur added to George. The “Sprinkle Cake” was given a spooky Halloween twist for a birthday falling on 31st October. Zesty orange cake batter was tinted with a natural orange colour before baking then it was split and layered with a luscious chocolate ganache so the inside matched the outside. 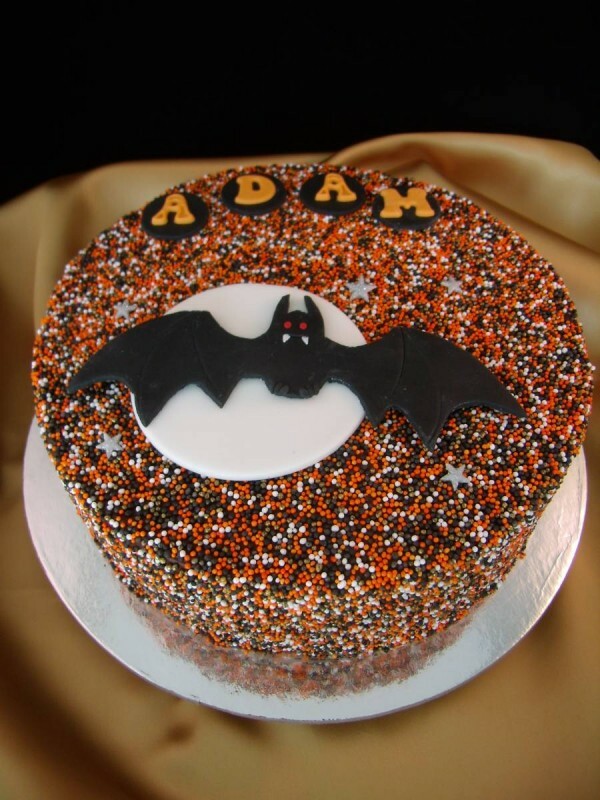 The cake was covered with the same chocolate ganache and then sprinkled liberally with orange, black and white non pareils and topped with the all important birthday boy’s name and a black fondant bat flitting across the moon to complete the Halloween feel. 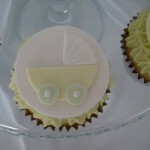 To compliment the cake and cater for the dietary requirements of guests, gluten free orange cupcakes were made and topped with a green buttercream frosting. 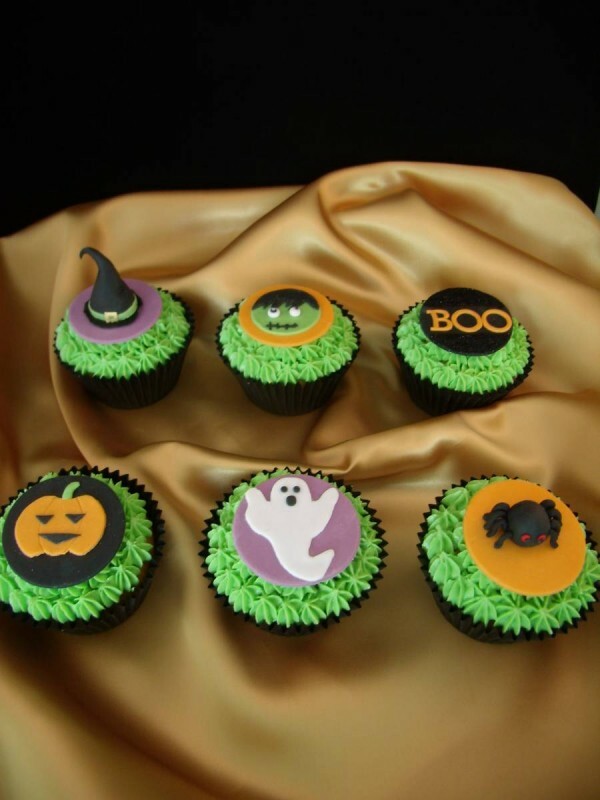 Each cake was then decorated with a hand crafted, Halloween themed fondant embellishment.